Ten thousand lumens in a light is an impressive feat... especially when you pack it in a travel friendly underwater video light that is available for purchase now. It's especially impressive when that much lighting power comes in a rugged yet precise Swiss-made package that is ready to dive as deep as 200 meters. Where other light manufacturers might use an LED (or 2) that claims it can achieve this kind of output, KELDAN delivers it; actual measured output at operating temperatures in real world conditions. This kind of obsession with accuracy is part of the reason that KELDAN lights are known as the best underwater video lights available. Today KELDAN is proud to announce a new underwater video light that combines high output with the ruggedness and precision that KELDAN is known for... the KELDAN Video 8X. 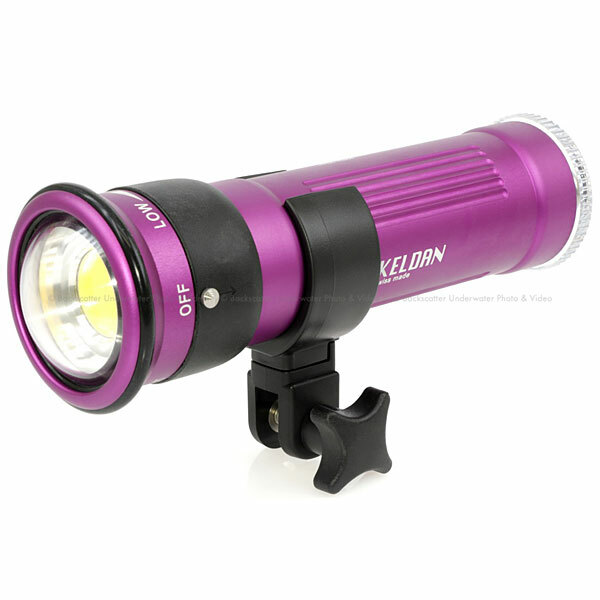 At 10,000 actual lumens output, this is the brightest KELDAN to date. The Video 8X combines the new reflector and dome lens configuration from the popular Video 4X with a higher output led drive circuit and larger battery, resulting in a super wide 10K lumen light that packs easily for travel. The Video 8X takes advantage of the fixed light head style (as compared to the modular Video 8M) to shunt heat effectively, allowing for the high output. To the keen eye of the underwater videographer, the shape and quality of the beam is paramount. The dome of the Video 8X allows for a 110_ usable beam angle with gradual falloff. There are no hard edges to contend with even with ultra wide lenses. 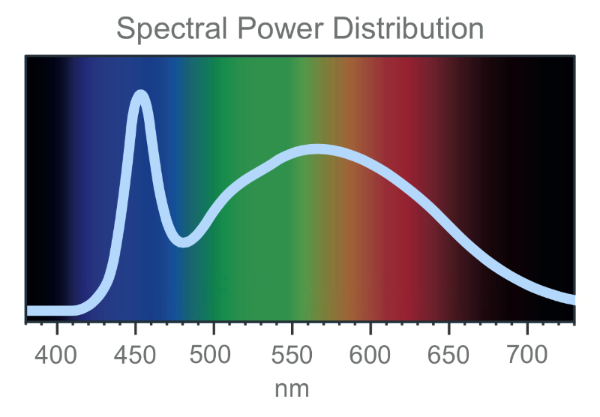 With a solid spectral distribution that does not miss out on important colors, this light produces a beautiful beam that is ideal for underwater film-making. Beam angle in water when measured using the FWHM standard of 50% intensity is 90 degrees, but that doesn't accurately represent the beam pattern of this light. The usable beam angle is much wider thanks to a very even and gradual edge falloff. Battery packs can be easily changed in the field, supporting long shooting days, and an LED charge indicator provides battery info at a glance.